When do you harvest jalapeno peppers? Since they’re picked when they’re green (most of the time), it can be hard to tell. Peppers can be tricky to grow and a lot of years I end up spending more money and time than it’s worth to even plant them, except for jalapenos. I’m not a huge fan of hot stuff so usually by mid-season I’m giving extras away to my heat loving colleagues. I never really knew when to harvest them so I’d pick them whenever. There is a “correct” time so this year, I’m making sure they’re actually ready. 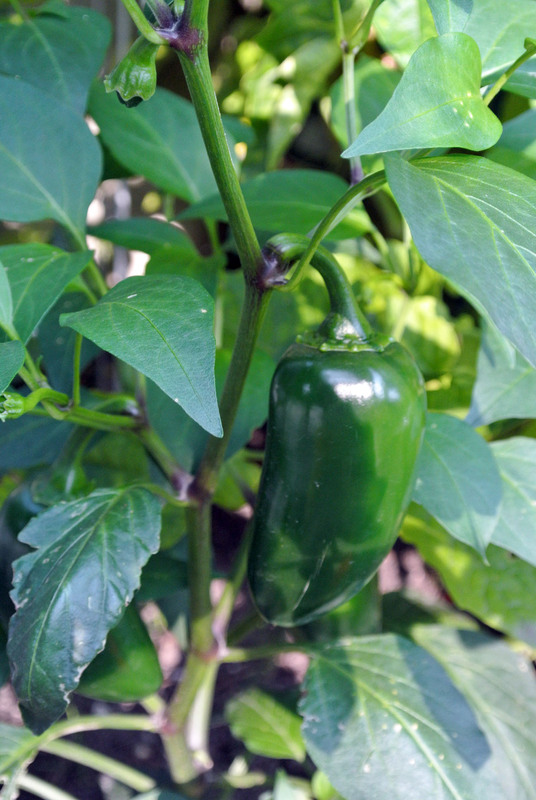 Here’s how to determine when you should harvest your jalapeno peppers. 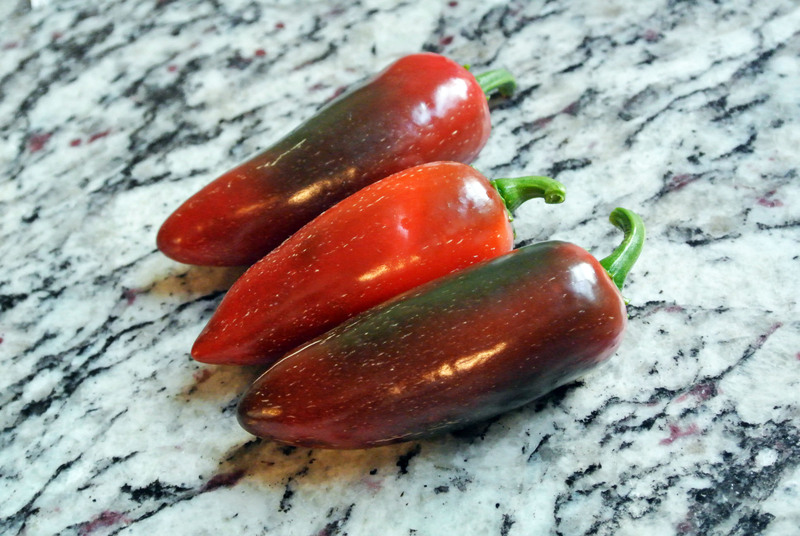 Jalapenos go from green to darker green, to brownish red and then finally to red. They can be picked once they’ve turned dark green. Are my peppers green or dark green? Uhhh???? It can be really hard to tell what stage the jalapenos are at. The pepper at the top of the page is more of a light green – not ready to be picked. Some varieties (like the peppers I’m growing) experience something called “corking”. Corking is the tiny lines/splits in the skin of the pepper. 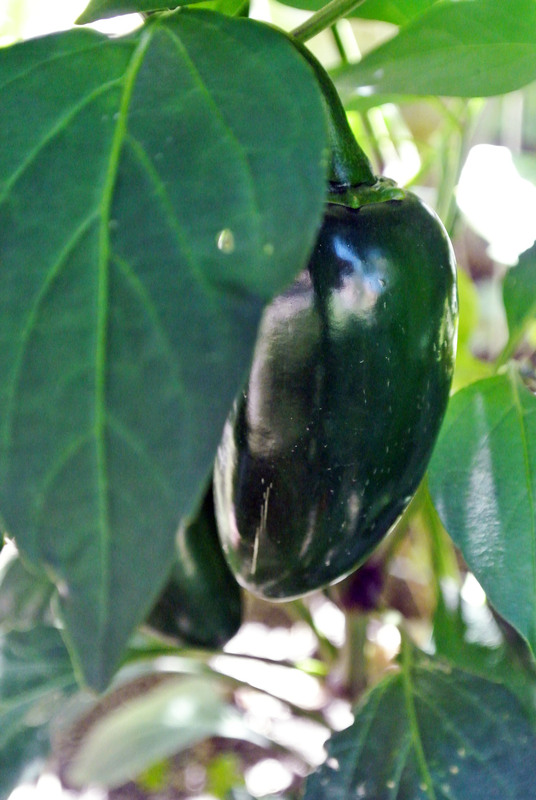 Here’s an example of a jalapeno that’s ready to be picked. It’s dark green and corking. Most jalapenos are also about 3″ long when mature. When red, the peppers are sweeter but softer in texture. You can definitely let your peppers turn red but remember that pepper plants have something called “fruit load”, which is the maximum amount of fruit weight that the plant can hold. Once it reaches the max fruit load then it will stop producing flowers; therefore, not producing any more fruit – which is not fun. Here’s a few I let turn red. To harvest, snip the stems of the individual peppers using clippers or a sharp knife. Leave a small portion of the stem attached. Rinse and dry the peppers and store in the refrigerator.